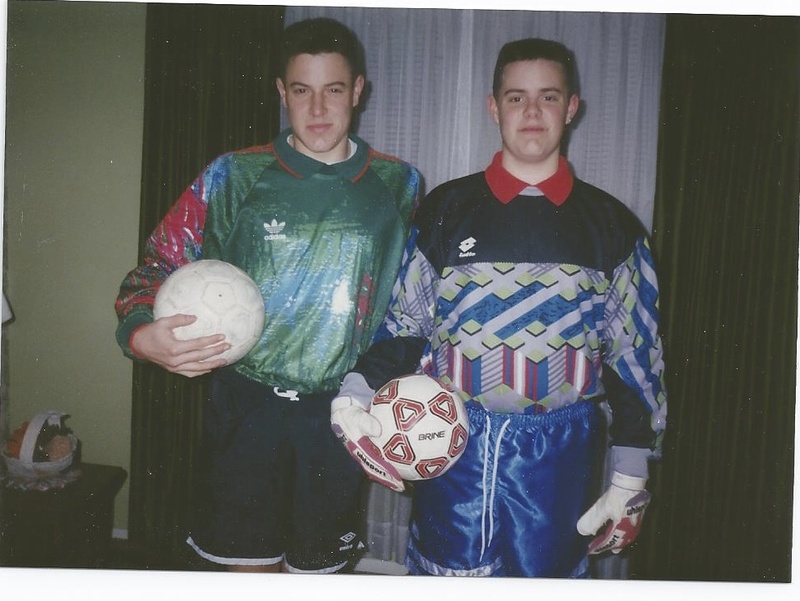 Christmas – 1992 – GK JERSEYS!!! Americans are often considered some of the top soccer goalkeepers in the World due to many reasons including participating in multiple sports that improve hand-eye coordination and having tremendous athleticism and then developing goalkeeper skills. 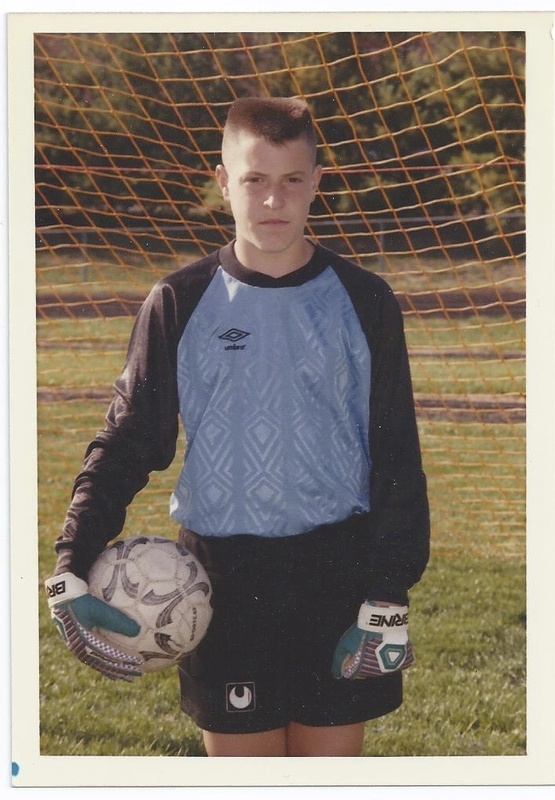 This wasn’t true for all of us but I am sticking to my story about athleticism….My heroes as a youth player were Tony Meola, Kasey Keller, and Brad Friedel. 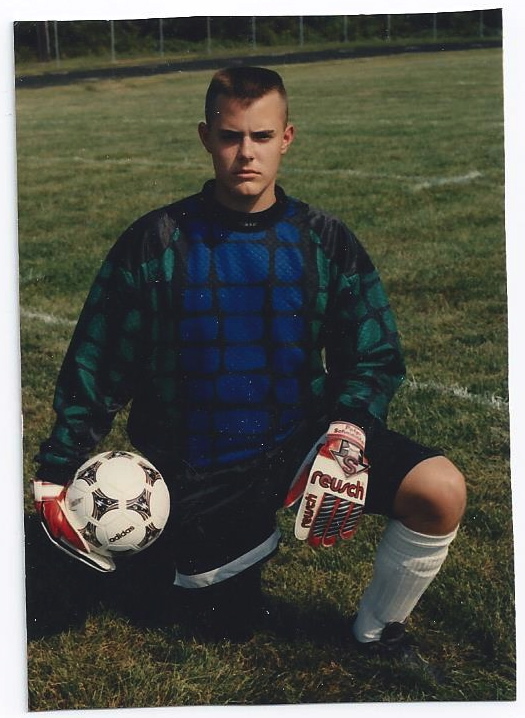 It was a different environment when my brother and I grew up in Maryland as goalkeeper coaches were few and far between. We were usually dismissed to another section of the field to train with a younger, just graduated goalkeeper or to train ourselves. This type of “training” was generally led by the oldest goalkeeper or whoever was the starter at the time. One exciting moment I remember that happened at a summer camp in high school was I had the opportunity to be trained by the University of Maryland goalkeeper Russell Payne (current head coach at West Point). I could not believe how quick and athletic he was in the goal – it was truly amazing and I immediately realized what I needed to work on in order to get to play in college and what my realistic level of college participation would be. implementing training sessions. Selecting items to improve on made me provide a greater intensity towards providing critical personal feedback. I had a goalkeeper coach in 10th grade and a part-time goalkeeper coach in college (both were great teachers) but other than this, I was generally creating training sessions. Coach Dey (our High School soccer coach) always had some great activities planned to make sure we were prepared for game day. His shooting sessions including “Take the End Line” were always legendary. My Dad had purchased numerous goalkeeper books and videos when I decided that was the position that I was best at so that I could learn how to play. These books and videos were used during those training sessions and really placed me on the path to developing an ability to coach and lead. Matt, who also became a goalkeeper, and I would watch and read these together often taking notes as to activities we thought would be good for us to perform. Obtaining a passion for improvement created opportunities for my brother and I to create our own training sessions. We would pull our favorite activities from experiences with coaches, books, and videos and create our own training sessions. We would actually create a lesson plan, usually get a ride to the soccer field from our Dad, bring the six soccer balls we received for Christmas in order to train more effectively, and perform the session with each other. Following the session we would evaluate the session, generally making fun of each other when one of us messed up, and then we would get back into the books and videos to see what we could improve. I was 16 and Matt was 14. Other days our friends would go to the field and shoot on us for hours (why work on passing and receiving?) and other days involved drop in soccer where we often played 15v15 with one team sitting out to get all the graduated and current players from the high school onto the field at the same time. The environment was really fun and exciting and this was all created within a high school setting. I often look back to those times when Matt and I were tasked with improving ourselves in order to get better to get on the field and have an impact. We both liked to train and push ourselves and I believe this is where the process of becoming a coach and designing sessions began. We had no idea this was happening (maybe Mom and Dad did?) but it really had an incredible impact on our future endeavors. With the current specialization of coaches in all sports at all levels, I wonder if young sport participants are having similar opportunities to grow into the coaching profession? Over the next couple of posts, I plan to re-examine how coaching became important to me through various life experiences. Miguel Lopez who is a 21-year-old coach at Storm Soccer Academy will also write a post about how his passion is developing as a young coach. Thanks for your continued passionate participation within the EducatedCoaches.com blog!! !